To cater to the rising demand for professionals in Islamic finance, the Academy for International Modern Studies (AIMS) is offering several high quality courses that are AAOIFI and Sharia compliant and recognized globally. The courses, designed for students and working professionals, aim to create well rounded experts in Islamic finance and promote best practices in this industry. For anyone desirous of becoming a global professional in Islamic finance, AIMS offers four self-placed, online Islamic banking courses . The Certified Islamic Finance Expert (CIFE) is recognized globally and creates professionals who can work anywhere in the world. The Mater Diploma in Islamic Finance is an advanced course for professionals to lead development work in IFIs. Two higher qualifications, MBA Islamic Finance and PhD in Islamic Finance, are also offered by AIMS for those who intend to work in the top echelons of management and large organizations. “I had a great time studying Islamic finance from AIMS. I first completed my CIFE online with the help of interactive lectures, study manuals, and other academic resources. 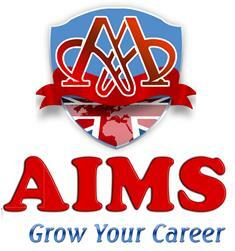 Study contents are all very well organized,” says a recent student at AIMS. “Leading scholars from all over the world are associated with AIMS to produce the best curriculum. Our aim is to promote best practices and professionalism in the Islamic finance industry,” said a spokesperson from AIMS.